TRILOK STEEL INDUSTRIES is leading stockist, supplier & exporter of Stainless Steel Square Tubewith highest quality corrosion and temperature resistant.Trilok Steel Industries is PED approved manufacturer & Govt. of India recognized Export House and an ISO 9001 : 2008, 18001:2007, 14001:2004 accredited company. We supply Stainless Steel 304 Square Tubefor semiconductor, pharmaceutical,the nuclear power, oil and gas, military and commercial aircraft programmes and sports firms.We are also well known as Stainless Steel Square Tube manufacturer in India. We ensure highest Quality Stainless Steel square Tubingfor use in extreme environments.Buy stainless steel square tubing at best price in India from us as compare to market price. TRILOK STEEL INDUSTRIES offering Stainless Steel Square Tubehaving a durable mill finish which is widely used for all types of fabrication projects that are exposed to the elements - chemical, acidic, fresh water, and salt water environments. 304 Stainless Steel Square Tube has inside and outside radius corners, with a protruding interior weld seam. SS Square Tubesare used for pressure operations such as moving liquids and gases in processing operations in the water treatment, chemical, petrochemical, food processing, diary and marine industries. Stainless Steel square Tube is ideal for all structural applications where greater strength and superior corrosion resistance is required.Trilok Steel Industries is specialized as providing Stainless steel Square Tube in Polished Grit 120 - 600 finish. As a largest stockholder of stainless steel Square Tube includes grades Stainless Steel 304L Square Tube,Stainless Steel 316 Square Tube,Stainless steel 316L Square Tube and Stainless Steel 201 Square Tubethose are used in various indutsrial applications. 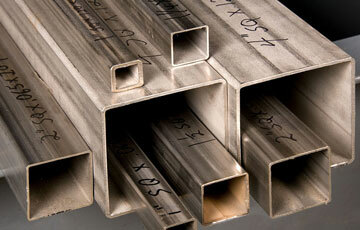 check latest updated price of stainless steel Square Tube. Stainless Steel Square Tube Manufacturer in India, SS Square Tubes, SS Square Tube Dealer in India, High Quality Stainless Steel Square Tube, Stainless Steel Square Tubes Exporter in India, Stainless Steel Square Tubes for Architectural Applications, SS Square Tube for Petrochemical Plants, Stainless Steel Hollow Square Tube, Seamless Stainless Steel Square Tubes. Suppliers of Stainless Steel Square Tubes, 304 Square Steel Tubes, Stainless Steel Square Tube Exporter, SS 304 Square Tube Weight Chart, SS 316 Square Tube Supplier in Mumbai, India. Stainless steel Square Tubes are finished in accordance with customer needs regarding dimensional and wall thickness specifications as well as heat treatment for more demanding applications. 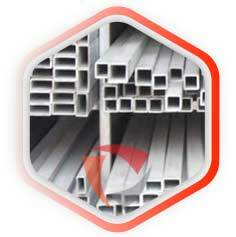 In general a stainless steel Square Tube is manufactured according to current standards API, ASTM, and ASME. If required for special projects we can also supply large diameter Square Tubes. Get full information od Stainless steel Square Tube Sizes. Stainless Steel Square Tube 1/2 X 1/2 X 16 GA (.065 wall) Select ... 2 Ft. 4 Ft. 6 Ft. 8 Ft. 12 Ft. 24 Ft. Stainless Steel Square Tube 5/8 x 5/8 x 16GA (.065 wall) Select ... 2 Ft. 4 Ft. 6 Ft. 8 Ft. 10 Ft. 20 Ft. Stainless Steel Square Tube 3/4 X 3/4 X 16 GA (.065 wall) Select ... 2 Ft. 4 Ft. 6 Ft. 8 Ft. 12 Ft. 24 Ft. Stainless Steel Square Tube 3/4 X 3/4 X 14 GA (.083 wall) Select ... 2 Ft. 4 Ft. 6 Ft. 8 Ft. 12 Ft. 24 Ft. Stainless Steel Square Tube 3/4 X 3/4 X 11 GA (.120 wall) Select ... 2 Ft. 4 Ft. 6 Ft. 8 Ft. 12 Ft. 24 Ft. Stainless Steel Square Tube 1 X 1 X 16GA (.065 wall) Select ... 2 Ft. 4 Ft. 6 Ft. 8 Ft. 12 Ft. 24 Ft. 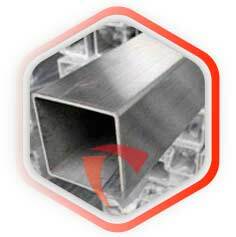 Stainless Steel Square Tube 1 X 1 X 14 GA (.083 wall) Select ... 2 Ft. 4 Ft. 6 Ft. 8 Ft. 12 Ft. 24 Ft. Stainless Steel Square Tube 1 X 1 X 11 GA (.120 wall) Select ... 2 Ft. 4 Ft. 6 Ft. 8 Ft. 12 Ft. 24 Ft. Stainless Steel Square Tube 1-1/4 X 1-1/4 X16GA (.065 wall) Select ... 2 Ft. 4 Ft. 6 Ft. 8 Ft. 12 Ft. 24 Ft. Stainless Steel Square Tube 1-1/4 x 1-1/4 x 14 GA (.083 wall) Select ... 2 Ft. 4 Ft. 6 Ft. 8 Ft. 12 Ft. 24 Ft. Stainless Steel Square Tube 1-1/4 X 1-1/4 X 11 GA (.120 wall) Select ... 2 Ft. 4 Ft. 6 Ft. 8 Ft. 12 Ft. 24 Ft. Stainless Steel Square Tube 1-1/4 X 1-1/4 X 3/16 wall Select ... 2 Ft. 4 Ft. 6 Ft. 8 Ft. 12 Ft. 24 Ft. Stainless Steel Square Tube 1-1/2 X 1-1/2 X 16GA (.065 wall) Select ... 2 Ft. 4 Ft. 6 Ft. 8 Ft. 12 Ft. 24 Ft. Stainless Steel Square Tube 1-1/2 X 1-1/2 X 14 GA (.083 wall) Select ... 2 Ft. 4 Ft. 6 Ft. 8 Ft. 12 Ft. 24 Ft. Stainless Steel Square Tube 1-1/2 X 1-1/2 X 11 GA (.120 wall) Select ... 2 Ft. 4 Ft. 6 Ft. 8 Ft. 12 Ft. 24 Ft. Stainless Steel Square Tube 1-1/2 X 1-1/2 X 3/16 wall Select ... 2 Ft. 4 Ft. 6 Ft. 8 Ft. 12 Ft. 24 Ft. Stainless Steel Square Tube 1-1/2 X 1-1/2 X 1/4 wall Select ... 2 Ft. 4 Ft. 6 Ft. 8 Ft. 12 Ft. 24 Ft. Stainless Steel Square Tube 1-3/4 X 1-3/4 X 14 GA (.083 wall) Select ... 2 Ft. 4 Ft. 6 Ft. 8 Ft. 12 Ft. 24 Ft. Stainless Steel Square Tube 1-3/4 X 1-3/4 X 11 GA (.120 wall) Select ... 2 Ft. 4 Ft. 6 Ft. 8 Ft. 12 Ft. 24 Ft. Stainless Steel Square Tube 2 X 2 X 16GA (.065 wall) Select ... 2 Ft. 4 Ft. 6 Ft. 8 Ft. 12 Ft. 24 Ft. Stainless Steel Square Tube 2 X 2 X 14 GA (.083 wall) Select ... 2 Ft. 4 Ft. 6 Ft. 8 Ft. 12 Ft. 24 Ft. Stainless Steel Square Tube 2 X 2 X 11 GA (.120 wall) Select ... 2 Ft. 4 Ft. 6 Ft. 8 Ft. 12 Ft. 24 Ft. Stainless Steel Square Tube 2 X 2 X 3/16 wall Select ... 2 Ft. 4 Ft. 6 Ft. 8 Ft. 12 Ft. 24 Ft. Stainless Steel Square Tube 2 X 2 X 1/4 wall Select ... 2 Ft. 4 Ft. 6 Ft. 8 Ft. 12 Ft. 24 Ft. Stainless Steel Square Tube 2-1/2 X 2-1/2 X 11 GA (.120 wall) Select ... 2 Ft. 4 Ft. 6 Ft. 8 Ft. 12 Ft. 24 Ft. Stainless Steel Square Tube 2-1/2 X 2-1/2 X 3/16 wall Select ... 1 Ft. 2 Ft. 4 Ft. 6 Ft. 8 Ft. 12 Ft. 24 Ft. Stainless Steel Square Tube 2-1/2 X 2-1/2 X 1/4 wall Select ... 2 Ft. 4 Ft. 6 Ft. 8 Ft. 12 Ft. 24 Ft. Stainless Steel Square Tube 3 X 3 X 11GA (.120 wall) Select ... 2 Ft. 4 Ft. 6 Ft. 8 Ft. 12 Ft. 24 Ft. Stainless Steel Square Tube 3 X 3 X 3/16 wall Select ... 1 Ft. 2 Ft. 4 Ft. 6 Ft. 8 Ft. 12 Ft. 24 Ft. Stainless Steel Square Tube 3 X 3 X 1/4 wall Select ... 1 Ft. 2 Ft. 4 Ft. 6 Ft. 8 Ft. 12 Ft. 24 Ft. Stainless Steel Square Tube 3 X 3 X 3/8 wall Select ... 2 Ft. 4 Ft. 6 Ft. 8 Ft. 12 Ft. 24 Ft. Stainless Steel Square Tube 3-1/2 X 3-1/2 X 11GA (.120 wall) Select ... 2 Ft. 4 Ft. 6 Ft. 8 Ft. 12 Ft. 24 Ft. Stainless Steel Square Tube 3-1/2 X 3-1/2 X 3/16 wall Select ... 1 Ft. 2 Ft. 4 Ft. 6 Ft. 8 Ft. 12 Ft. 24 Ft. Stainless Steel Square Tube 3-1/2 X 3-1/2 X 1/4 wall Select ... 1 Ft. 2 Ft. 4 Ft. 6 Ft. 8 Ft. 12 Ft. 24 Ft. Stainless Steel Square Tube 3-1/2 X 3-1/2 X 3/8 wall Select ... 2 Ft. 4 Ft. 6 Ft. 8 Ft. 12 Ft. 24 Ft. Stainless Steel Square Tube 4 X 4 X 11GA (.120 wall) Select ... 2 Ft. 4 Ft. 6 Ft. 8 Ft. 12 Ft. 24 Ft. Stainless Steel Square Tube 4 X 4 X 3/16 wall Select ... 1 Ft. 2 Ft. 4 Ft. 6 Ft. 8 Ft. 12 Ft. 24 Ft. Stainless Steel Square Tube 4 X 4 X 1/4 wall Select ... 1 Ft. 2 Ft. 4 Ft. 6 Ft. 8 Ft. 12 Ft. 24 Ft. Stainless Steel Square Tube 4 X 4 X 3/8 wall Select ... 2 Ft. 4 Ft. 6 Ft. 8 Ft. 12 Ft. 24 Ft. Stainless Steel Square Tube 4 X 4 X 1/2 wall Select ... 2 Ft. 4 Ft. 6 Ft. 8 Ft. 12 Ft. 24 Ft. Stainless Steel Square Tube 4-1/2 X 4-1/2 X 3/16 wall Select ... 2 Ft. 4 Ft. 6 Ft. 8 Ft. 12 Ft. 24 Ft. Stainless Steel Square Tube 4-1/2 X 4-1/2 X 1/4 wall Select ... 2 Ft. 4 Ft. 6 Ft. 8 Ft. 12 Ft. 24 Ft. Stainless Steel Square Tube 5 X 5 X 3/16 wall Select ... 2 Ft. 4 Ft. 6 Ft. 8 Ft. 12 Ft. 24 Ft. Stainless Steel Square Tube 5 X 5 X 1/4 wall Select ... 1 Ft. 2 Ft. 4 Ft. 6 Ft. 8 Ft. 12 Ft. 24 Ft. Stainless Steel Square Tube 5 X 5 X 3/8 wall Select ... 10 Ft. 20 Ft. Stainless Steel Square Tube 6 X 6 X 3/16 wall Select ... 1 Ft. 2 Ft. 4 Ft. 6 Ft. 8 Ft. 12 Ft. 24 Ft. Stainless Steel Square Tube 6 X 6 X 1/4 wall Select ... 1 Ft. 2 Ft. 4 Ft. 6 Ft. 8 Ft. 12 Ft. 24 Ft. Stainless Steel Square Tube 6 X 6 X 3/8 wall Select ... 2 Ft. 4 Ft. 6 Ft. 8 Ft. 10 Ft. 20 Ft. Stainless Steel Square Tube 7 x 7 x 1/4 wall Select ... 2 Ft. 4 Ft. 6 Ft. 8 Ft. 12 Ft. 24 Ft. Stainless Steel Square Tube 8 x 8 x 1/4 wall Select ... 2 Ft. 4 Ft. 6 Ft. 8 Ft. 12 Ft. 24 Ft. Stainless Steel Square Tube 8 x 8 x 3/8 wall Select ... 1 Ft. 2 Ft. 4 Ft. 6 Ft. 8 Ft. 10 Ft. 20 Ft. Stainless Steel Square Tube 10 x 10 x 1/4 wall Select ... 1 Ft. 2 Ft. 4 Ft. 6 Ft. 8 Ft. 10 Ft. 20 Ft. Stainless Steel Square Tube 12 x 12 x 1/4 wall Select ... 1 Ft. 2 Ft. 4 Ft. 6 Ft. 8 Ft. 10 Ft. 20 Ft.